The publisher's list price is £95 or $140. For a limited time, an author's discount of 50% is available. but only when an order for 10 or more copies is placed. His time and marriage in Lyon (1651-1656), the Netherlands (1656-1661) and Paris (1661-1662). Tutor to Prince William (1658-1661), and playwright (1661-1662). Arrival in Geneva 1662, European travels, exile (1671) and and return (1679) to Geneva. l'Europe Vivante 1666, Le theatre Francois 1674, Taverniers Travels 1676. Samuel's plays and his relationship with Moliere. and how Moliere staged one of his plays as a thank-you. 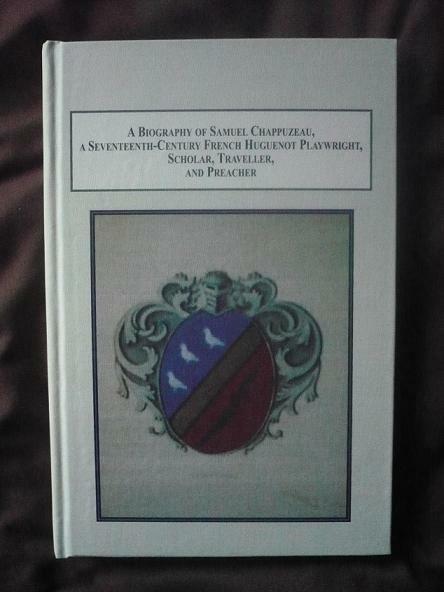 Find which of Moliere's plays were heavily influenced by Samuel's work.